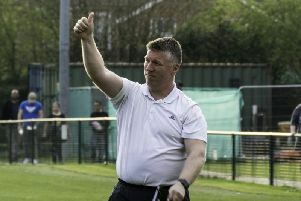 Burgess Hill Town head coach Simon Wormull was left very disappointed with his side after the 3-0 defeat to Bishop's Stortford. The defeat was the third in a row for the Hillians and the fourth league game without a goal - and that's a concern for Wormull. He said: "It was very disappointing. Not just the result but the manner of the performance, it wasn’t up to the level we expect. "I think because of that, that’s what the scoreline showed and they [Bishop’s Stortford] deserved that." Regarding the lack of goals, Wormull added: "It’s more of a concern from Saturday because we created nothing. Since I took over the catalyst of everything we wanted to do was create chances which is what we have done. "Even when we have lost games we have created chances - at Hornchurch last week we created five, six, seven good chances but unfortunately we could not take them. "On Saturday we were devoid of that. It was just one of those really bad off days. Or at least I am hoping it was one of those really bad off days. "It wasn’t like one or two players who were off, it was five or six. We are not good enough to carry that. We can carry one or two but we can’t carry five or six and that’s why we didn’t create anything really." Wormull's side have no midweek game this week and that has pleased Wormull ahead of a tough trip to Haringey Borough. He said: "It’s brilliant. It’s the first one we have had for five or six weeks. That’s the difficulty of it, you have so many games you sometimes don’t have time to put things right. "If you are playing on a Saturday and Tuesday, Thursday is your recovery session and you can’t really work too hard. "It’s great this week because on Tuesday we could look over the match and analyse it a little and then work hard to put some things right."